I enjoyed putting together the nautical party for a little boy so much that I thought I would do one for a little girl as well. The dark navy against the feminine soft pink I just love! My inspiration for this board all started with the ruffle wreath, I love it and so wish I had a place in my home to hang it. As with the other nautical board, this one would be great for baby showers, birthdays or even bridal showers. 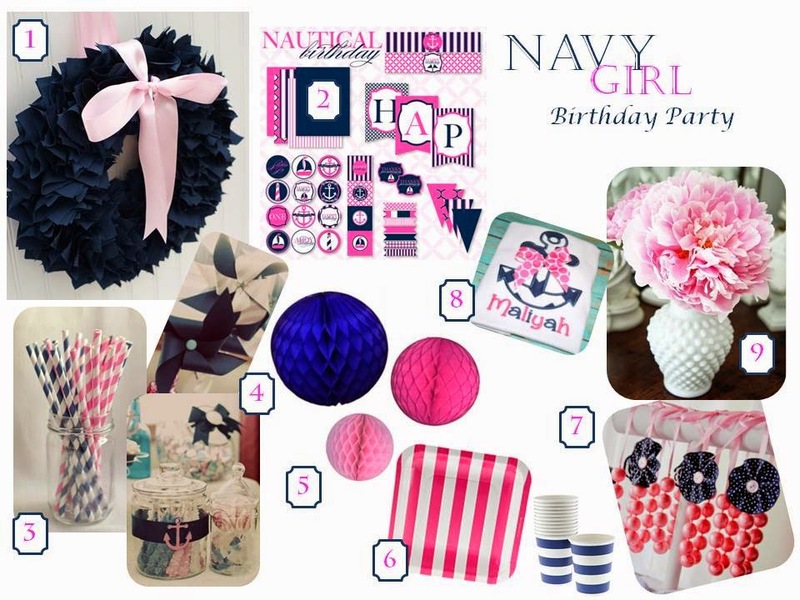 How cute would it be to host a bridal shower with a nautical theme for a soon to be Navy wife. You don't have to limit yourself to this color scheme either, if pink isn't your favorite pick another color that would compliment the blue. I think navy with coral is absolutely gorgeous and would be a great way to transition the theme into something a little more mature or elegant. 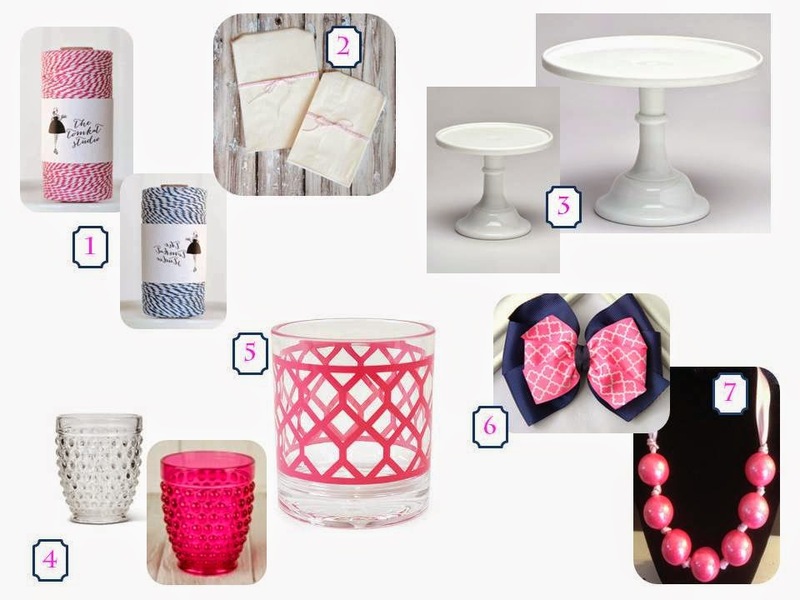 Listed below are a few additional items that may help to pull this party together. From the cake pedestals for the sweets table, hobnob tumblers for lemonade and a beautiful arrangement in the featured vase would make a great centerpiece. Let me know if you have any questions or a suggestion for my next party board, with love to hear from you!